Bubbly. That’s how I feel when I am happy. 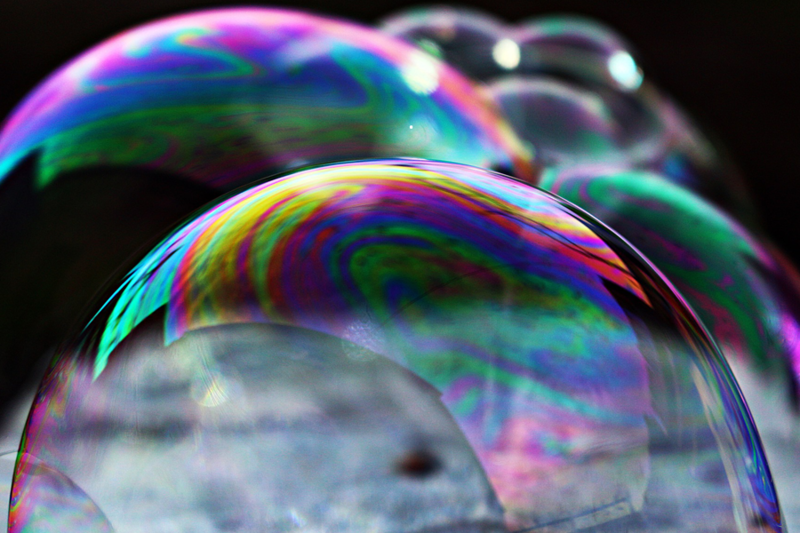 Like there are a million different little colorful, shiny bubbles bouncing around in my mind. Making me hop, and hum, and smile, and dance, and everything a little less scary. It’s been a very long time since I felt those bubbles – now they are everywhere. If you asked me a month ago about the last time, I was truly happy it would’ve taken me a lot of thinking to answer. Now it seems I can’t contain the happiness, even if the future is even more scary then it used to be. But sometimes all it takes is a decision, consequences be damned. I am so tired of being unhappy and lonely, of doing something I don’t really want to do, and of living somewhere I don’t really want to live. I used to tell myself that I will have time later – that I will save up time for later…but later never came. There are so many new directions waiting to be explored, so many different possibilities, but it doesn’t scare me as much anymore. My mind used to hit the brakes all the time, telling me to be careful, doubting and just slowing the hell down. It still tries to. But I realized that all those doubts and fears have the voices of someone else…some familiar and some long forgotten faces, and I can’t listen to them anymore. My heart decided to take the wheel and just speed ahead. Don’t get me wrong, it’s scary as hell and I am not anywhere close to being truly happy. But I realized that some people are exactly where they want to be. They have the only job they ever wanted, found the one person they want to be with and live in a place they can actually call home. All I have done is living for a future I was too scared to pursue. That is like slowly suffocating yourself until you are lying on the ground desperately gasping for air while clutching your throat at the same time. It’s just another form of suicide. Now nothing is certain anymore. I don’t know if I’ll ever be able to do what I really want to do with my life – but I am willing to at least give it a try. I am absolutely crazy about someone, and even though it scares me shitless it also gives me hope. He gives me bubbles and somehow that makes everything a little lighter and helps me be a little braver. Nothing is certain and for the first time I feel like it doesn’t have to be.